This is possibly the lowest NSP beer I've ever had outside of a pub. Yeah, yeah, I know. But, It was in an airport terminal and I just got finished with a weeklong geophysics nerd-fest, so eat me. My goodness this is refreshing. Saisons are traditionally very light and spicy/acidic but also somewhat "earthy", and this is no exception, though the earthiness is muted somewhat. 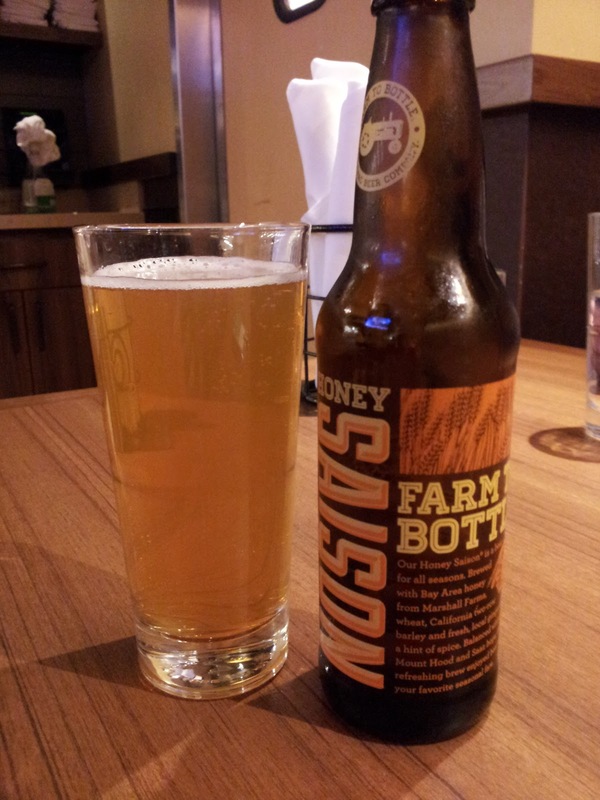 Instead it has a nice palate of complementary ingredients: Honey. Ginger. French Oak. The best thing is you can taste each distinctly, so it tastes like a spicy gingerbread cookie. In the Ruhstaller review I introduced the Farm-to-bottle (or Farm-to-Pint to be precise), and this counts as the second FtB from a California brewery. They use CA barley, Bay Area honey, and "local" ginger root. Now I'm not feeling so bad about the inflated price because it probably cost them an arm and leg to produce this. Right?